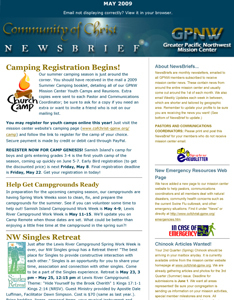 Sign up to subscribe to mission center email news, or visit the "Update Your Profile" link at the bottom of your NewsBrief to select exactly what kinds of mission center news you want to receive. Questions or problems with your email subscription? Contact Communications Administrator, Karen Beckman Householder, at kbeckman@cofchrist-gpnw.org. 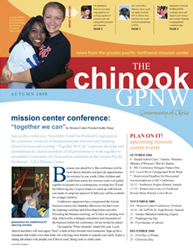 If you do not receive a copy, contact Communications Administrator, Karen Beckman Householder, at kbeckman@cofchrist-gpnw.org to be added to the mailing list.